When my children were younger, I was never keen on dragging them into Newcastle on a weekend. Navigating the crowds with a pushchair or two is not the easiest of tasks. Now that they are older though, we quite often pop into town as a family and last Saturday we headed to the Tyneside Cinema to watch Snow White (as part of their Fantastical Disney season - tickets are only £4), spotted a few Snowdogs and then walked down to Babucho on Newcastle Quayside where the kids had kindly been invited to make their own pizzas. Isn't it fancy! 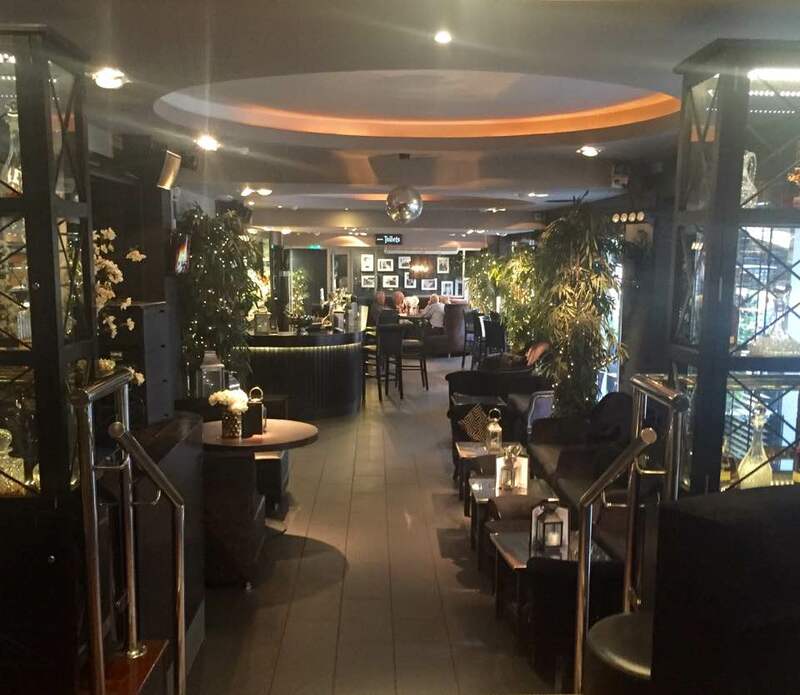 The restaurant is beautiful with lots of floral displays, chandeliers, plush fabric and twinkling lights. Unfortunately, Big Stevie Cool had taken the battery out of my camera to charge it and hadn't told me (that's what I get for encouraging him to start his own blog!) so iPhone photographs will have to do. Jack obviously had to get into the swing of things :-) Although Babucho does feel glitzy, our (non-glitzy) family certainly didn't feel out of place. There were lots of other kids enjoying lunch. As we walked through the restaurant there were big family gatherings, parents with babies in highchairs, toddlers joining in with pizza making, older teens out with their parents for lunch - there really was a nice family feel. 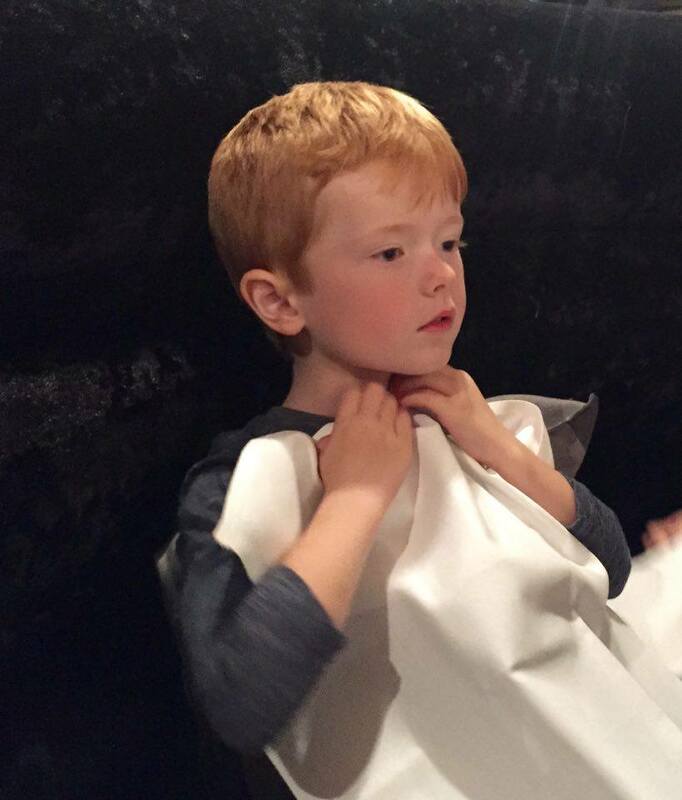 The children's menu at Babucho is £5.95 for a main course and everything else is charged as an extra. I feel that £5.95 is a good price, however if you start adding extras such as a starter, drinks and dessert, before you know it you can easily spend over £10 per child. We stuck to a pizza and a drink each and this keeps the bill down to around £8 per child which I think is a fair price. 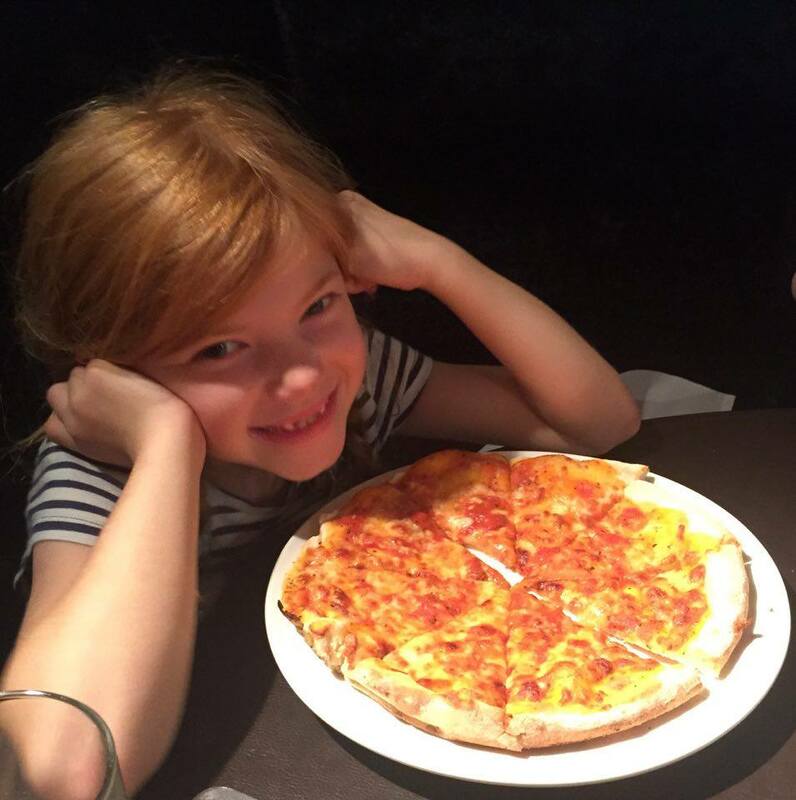 The children's menu at Babucho (click here to open menu PDF - it is £6.95 online but the correct price is £5.95) offers either 'make your own pizza' with up to two toppings, a nice selection of pasta dishes or chicken goujons and fries. 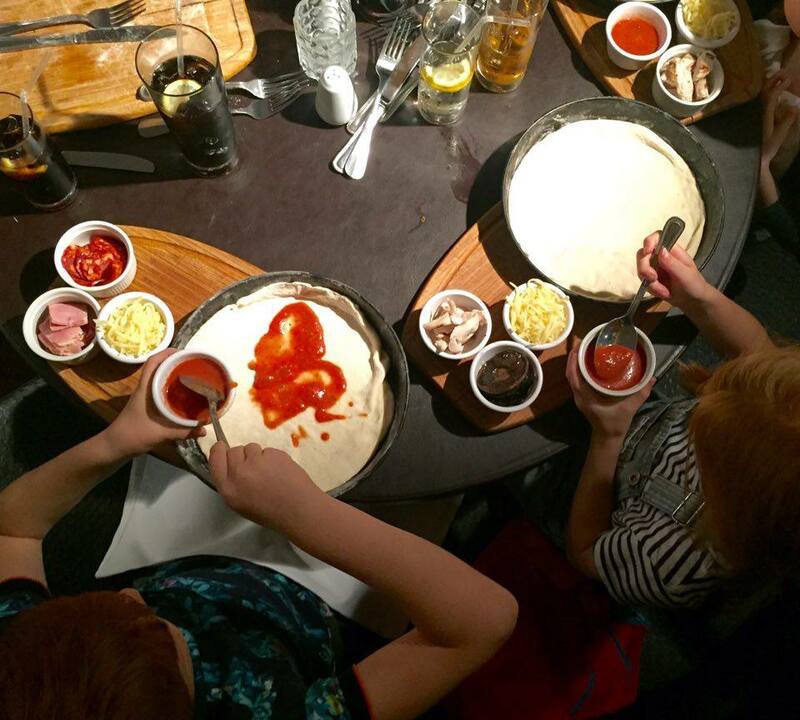 My three children love creating their own pizzas and all opted to do this. Pizza making is taken very seriously (as you can tell by their faces) and Babucho pull out all the stops. 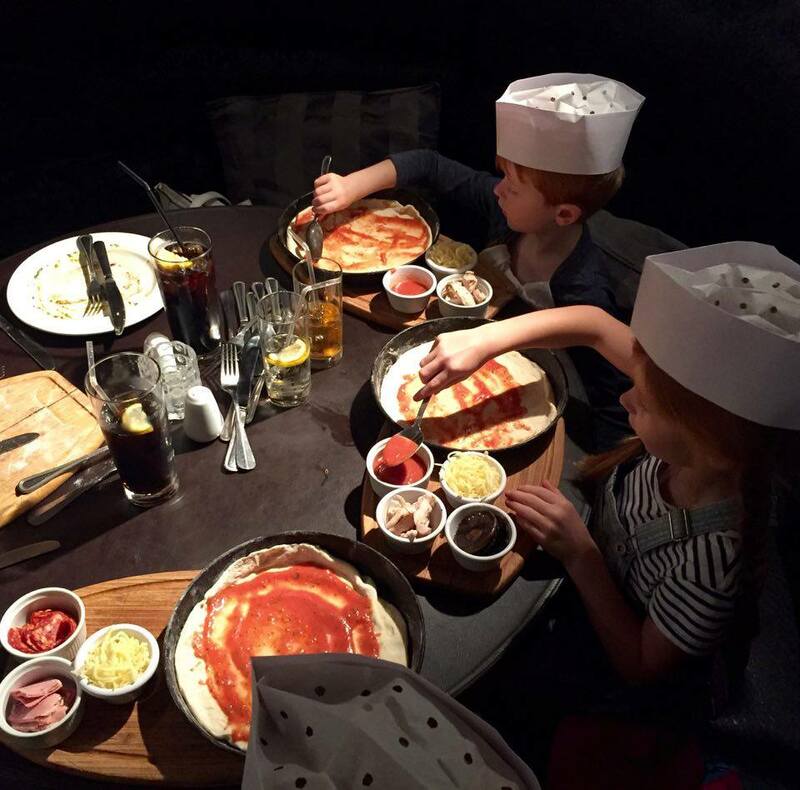 Children are given their very own chefs hats, their own freshly prepared pizza dough base, tomato sauce, cheese and toppings. It's all presented perfectly and I was impressed with the quality of the pepperoni, chicken and ham - no scrimping at all. 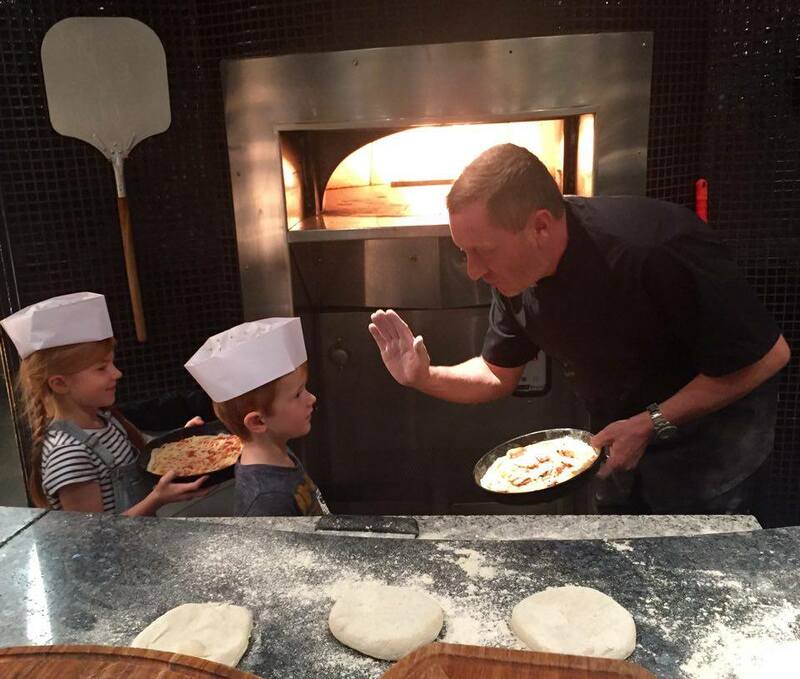 When the children finish their masterpieces, they are asked to personally take them over to the pizza chef. 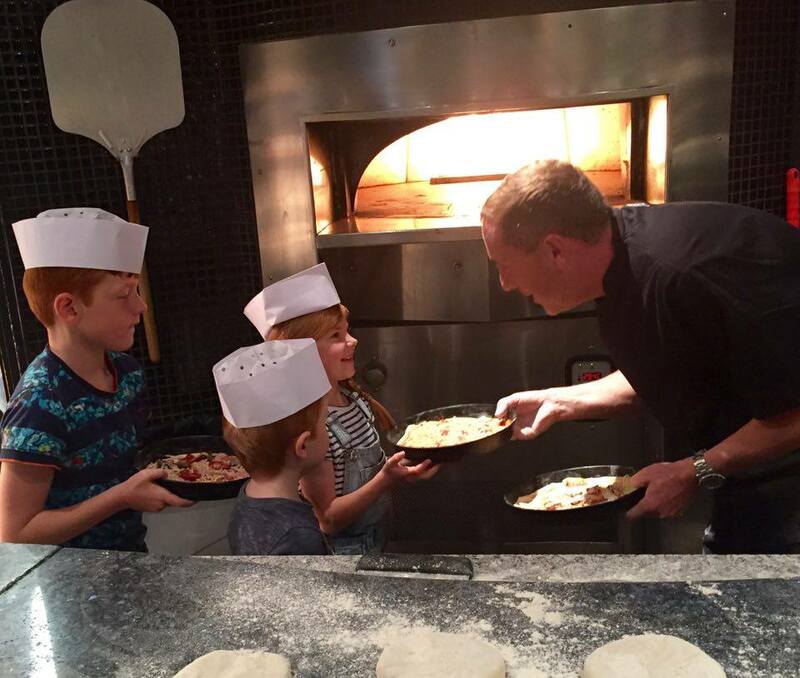 The chef was so lovely with our children and let them have a look at his dough making station and posed for photographs. He informed the kids that their pizzas would cook in just 5 minutes so we headed back to our seats and started the countdown. 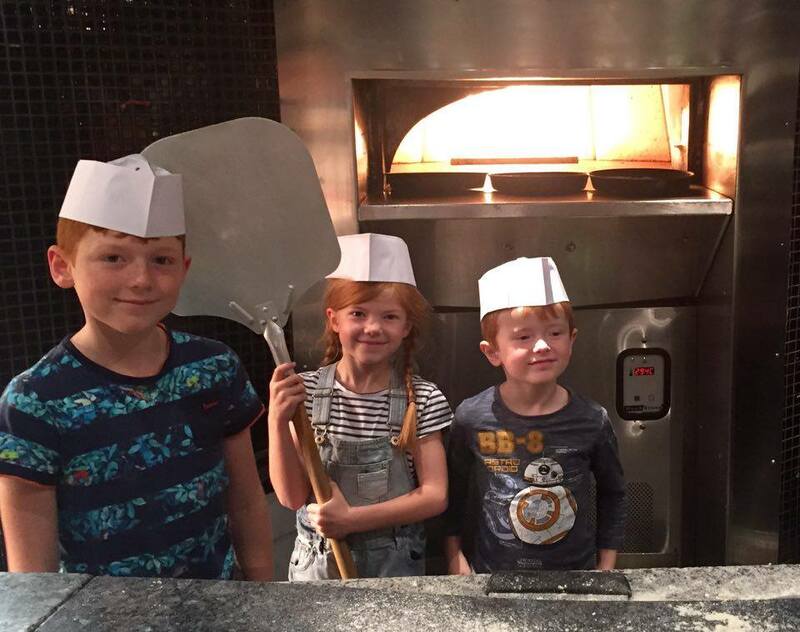 True to their word, our pizzas were ready in a flash. One thing I want to mention is that due to a mix up in our reservation, the Babucho staff didn't know we were blogging until the end of our meal and they really gave us (and all other customers) the VIP treatment. We were very well looked after and all of our food arrived in super quick time. In fact I would go as far as to say that Babucho provided us with some of the best service we have received in a while. It was perfect - informal and not overbearing yet professional and slick - it's hard to put it exactly into words but I'm sure you get the idea. The kids loved their pizzas (well they made them so why wouldn't they) and ate the lot. There was no room for dessert today. There are a few different menu options to try at Babucho. There is the a la carte menu, gluten free menu, healthy options menu, Sunday menu and rapido menu. I usually think less is more when it comes to menu choices and can easily become overwhelmed so we decided to ditch the a la carte and order from the Rapido menu which is available Sunday-Thursday 12-10:30pm, Friday 12-7pm and Saturday 12-5pm. It is a bit of a bargain at 2 courses for £12.95. 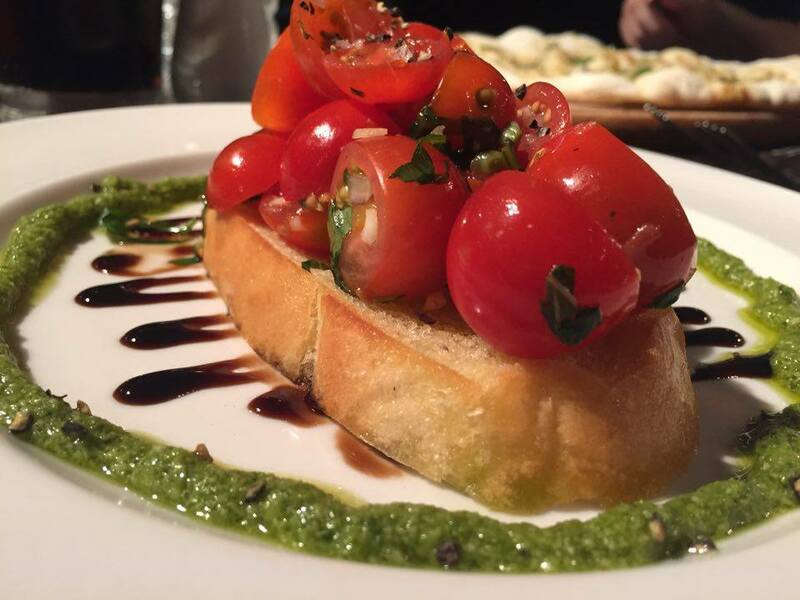 I ordered the Bruschetta to start - tomato, garlic, basil and pesto on Tuscan bread. The portion was very generous and my dish was perfectly seasoned, bursting with flavour and nicely presented. Our starters arrived within 5 minutes of ordering which I always appreciate when I'm dining with kids - most of the time I skip starters as I fear they'll get bored so I'm really pleased I took the chance here. 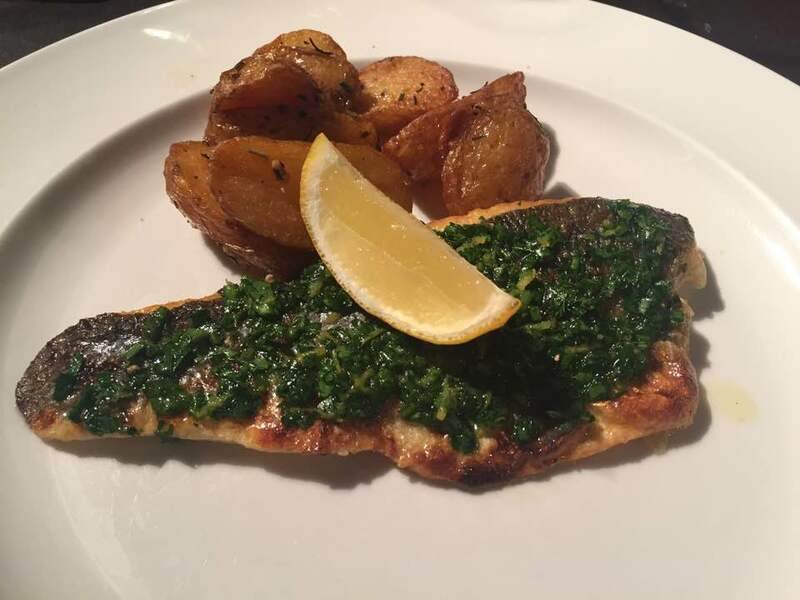 I ordered Seabass with lemon & parsley rub and rosemary potatoes to follow. The portion looks on the small side in this photograph but in reality, after my bruschetta, it was the perfect portion and I too couldn't squeeze in dessert. I love Seabass but it is an expensive dish and you wouldn't normally see it on a set menu like this. I was very happy with my lunch at 2 courses for £12.95. Such good value. 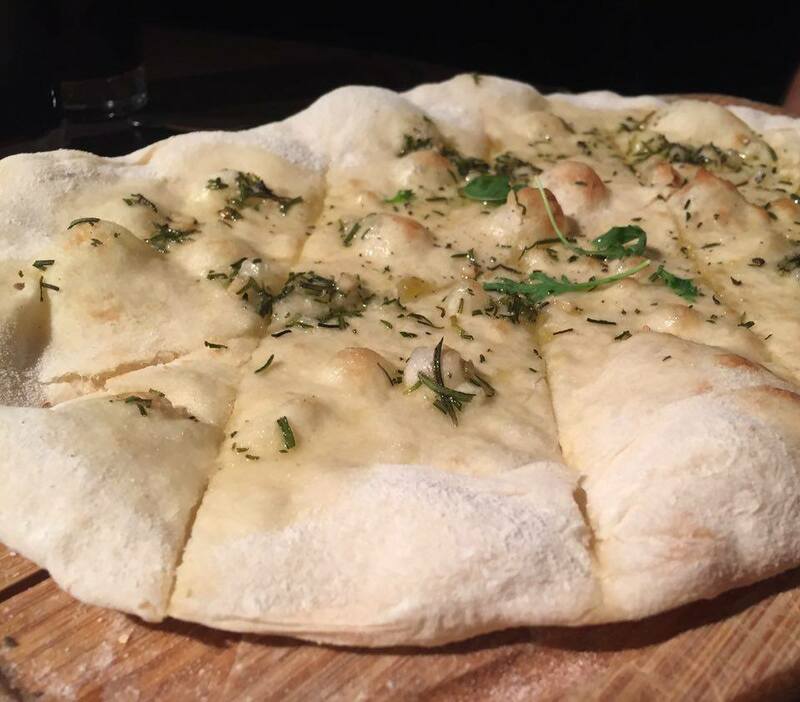 Steve started with garlic, rosemary and rock salt foccacia which is freshly prepared by the chef in the pizza kitchen. Again we were very impressed with the portion size and Steve actually shared this with the kids and it went down well with everyone. 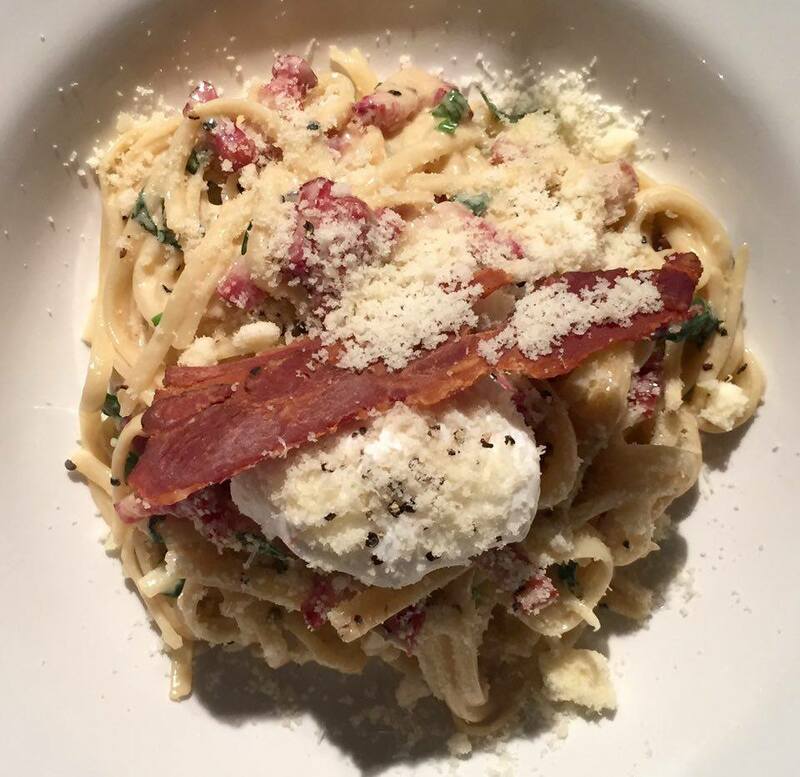 For his main course, Steve ordered linguine carbonara. 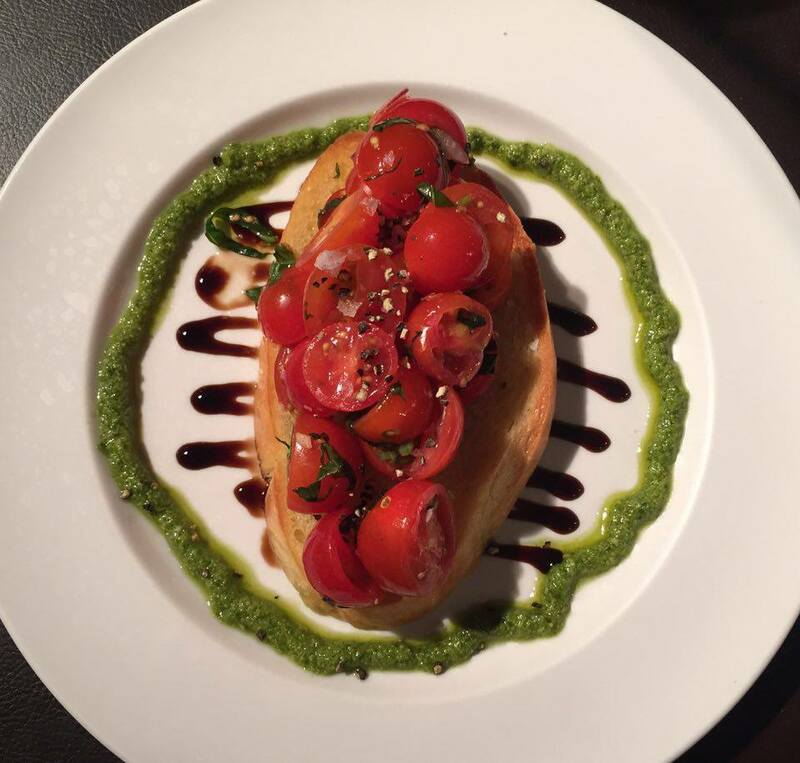 We often joke that about 5 years ago Steve would never order a dish like this as he deemed it 'boring'. How times change. 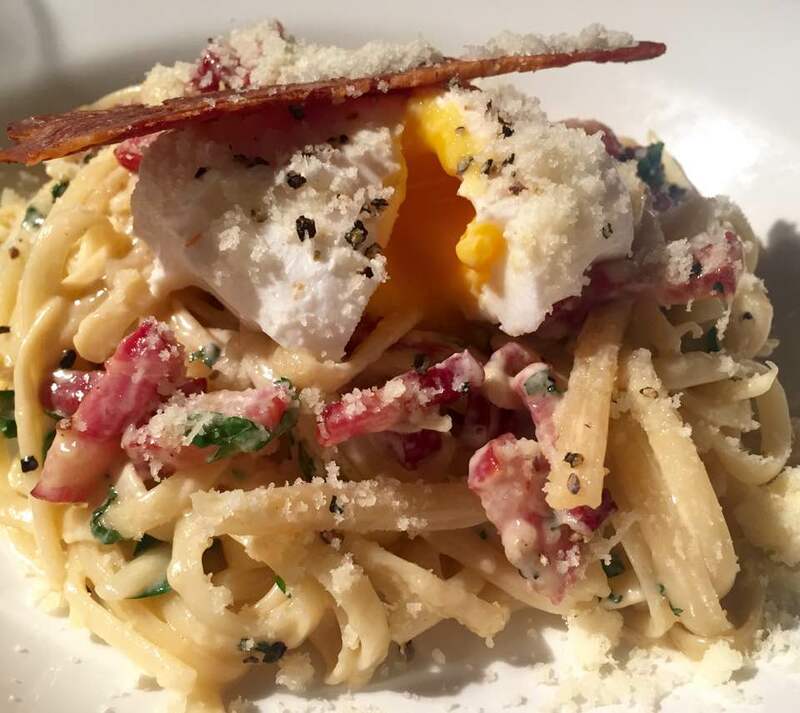 The carbonara from Babucho is anything but boring though and it's served with crispy pancetta and a perfectly poached egg. Delicious. Overall our lunch would have been around £55 for the 5 of us (plus 10% service charge) which considering the quality of the food and the high level of service, we think was fantastic. The Rapido menu is fantastic value. The staff were all very attentive & friendly. We were made to feel very welcome and received outstanding service. The children thoroughly enjoyed making their own pizzas. Our food arrived very quickly which I am always grateful of when dining with kids. The food is all fresh and delicious. The restaurant setting is beautiful. I would like to see a drink included in the price of the children's meal to provide even better value. My children commented that they couldn't draw on their menu which they are kind of used to doing in other restaurants. 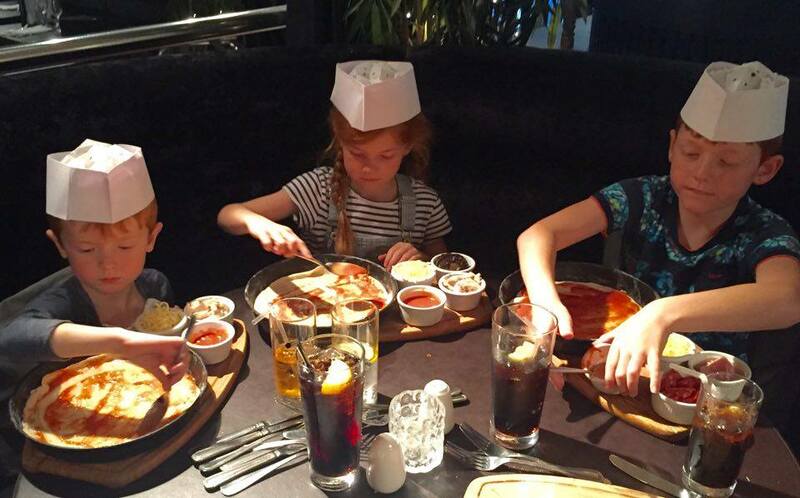 I think crayons on the table would be a nice addition and children could then decorate their chef's hat whilst they wait for their pizzas to cook. Personally, I am not a fan of an 'optional' 10% service charge being added to the bill. We do think Babucho provide excellent service but I always think it is for the customer to make the decision whether to tip and it can be awkward asking for it to be removed if you don't want to pay this. Babucho is a New York style brasserie and bar, located on lower Dean Street, Newcastle Quayside. 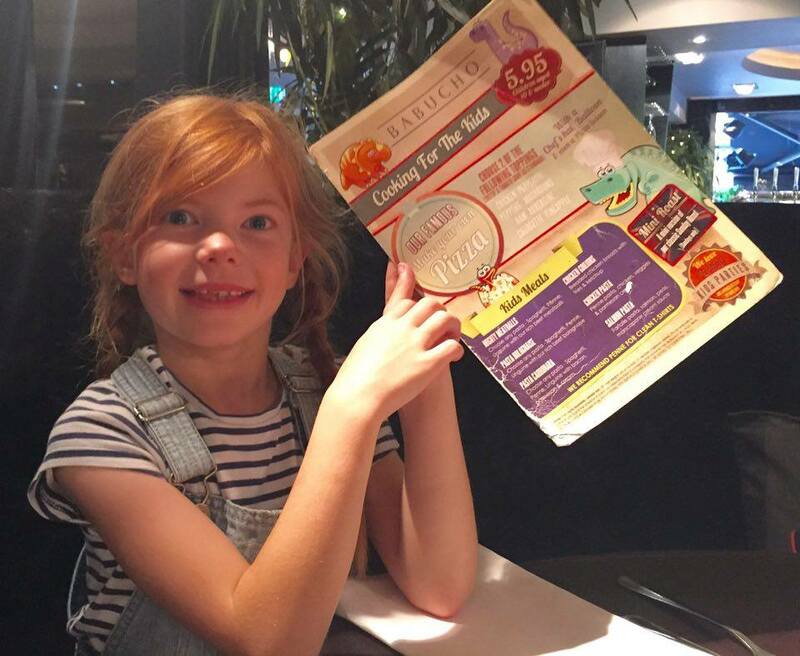 The Children's Menu is priced at £5.95 for a main course and £2.95 for desserts. 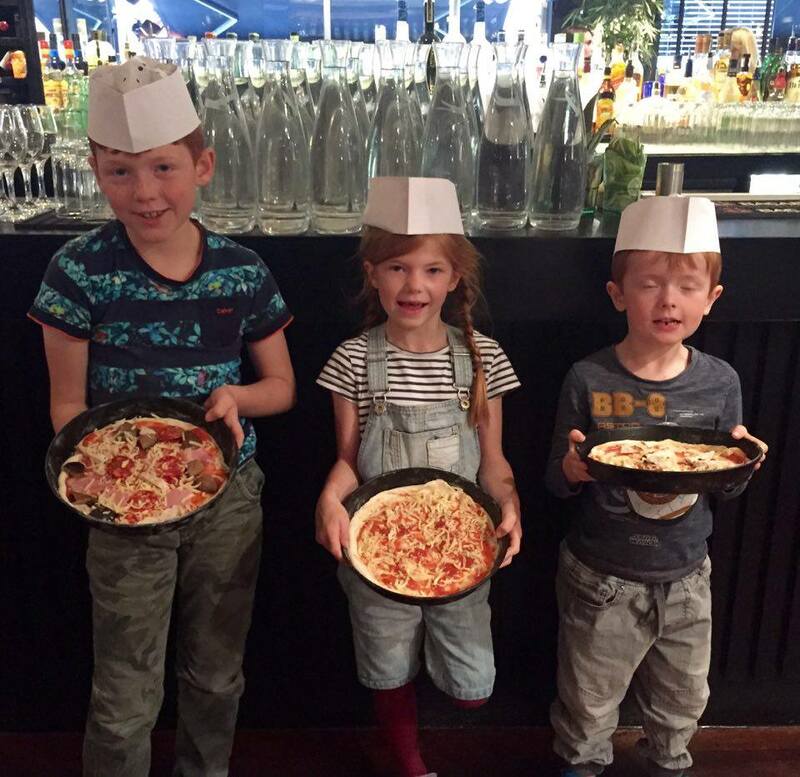 Babucho also offer children's pizza parties. You can follow Babucho on Facebook here. 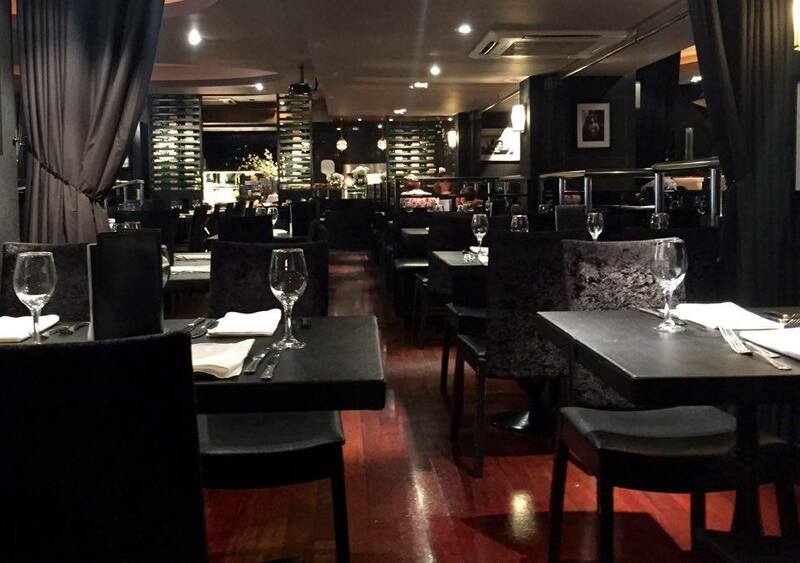 Phone 0191 231 2840 or visit the Babucho website to make a reservation. Babucho is open daily for coffee 10am-12noon and the restaurant is open 12noon-10:30pm (bar open until late). Disclosure: We were provided with a complimentary lunch in return for an honest review. 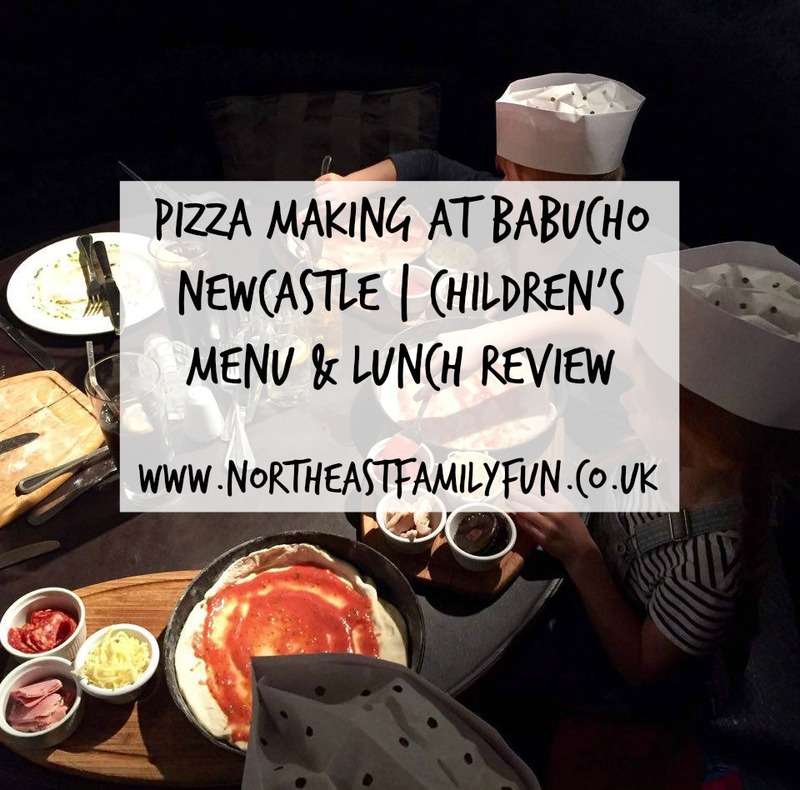 I've never heard of Babucho before the food looks good though and the kids look like they had fun making there own pizzas.